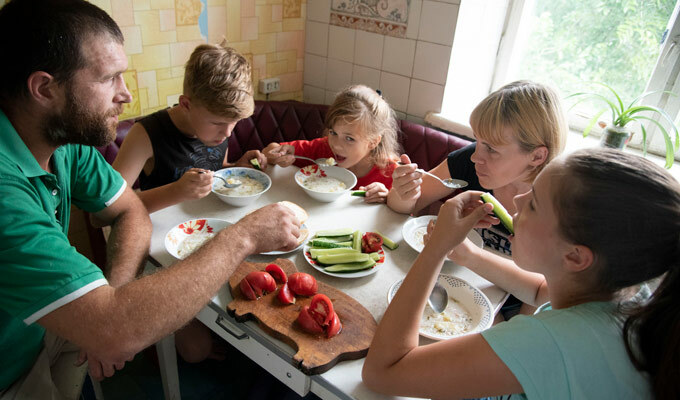 The armed conflict in eastern Ukraine seriously affected this family's life. Family strengthening helped them to grow stronger as a family again. The armed conflict in eastern Ukraine seriously affected the life of the Skotarenko family. 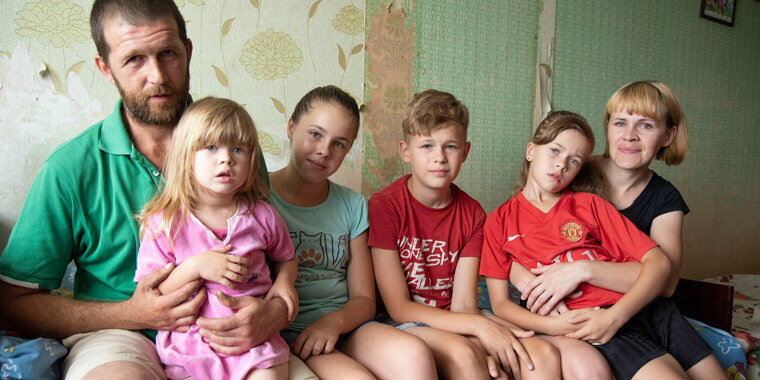 In 2014, at the start of the conflict, Oksana and her husband Andrey sold their flat in their hometown of Sievierodonetsk and relocated to a rural area in the center of the country, where they hoped to find safety and a better life for their children. But the young parents soon realized that they were not able to adapt to the new circumstances. They decided to come back to Sievierodonetsk, where the situation had stabilized. Although their hometown was now safe, the effects of the war brought new challenges. Prices had increased and the Skotarenkos could only afford a small two-room flat with a leaky roof on the top floor of a building with no elevator. It cost them $146 per month. Andrey only occasionally found low paying work as a day laborer. Oksana could not go back to work after giving birth to her youngest daughter Masha in August 2015. The family’s only stable income was the $32 of maternity payment Oksana received every month. Andrey started to seek comfort in alcohol. Oksana would often reprimand him for drinking and what started as small quarrels soon turned into constant arguing. The parents realized they had reached a low point. 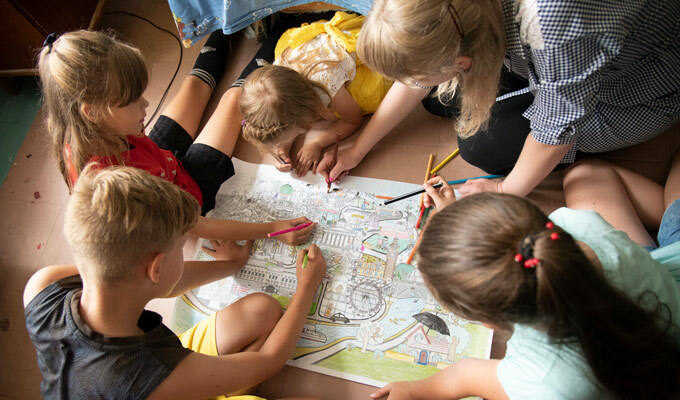 In March 2018, Oksana learned that SOS Children's Villages runs a program for at-risk families and decided to ask for help. The psychological counseling stabilized Oksana’s mental well-being. She took over the leadership role in her family and faced her husband with his addiction. Andrey decided to stop drinking, and slowly the couple’s relationship started to improve. Oksana hopes to soon contribute to the family income. When Masha turns three, she plans to look for a job. To build her skills, she has attended free computer literacy training at the social center of SOS Children's Villages. Twelve-year-old Katya and 11-year-old Seryozha attended computer classes in the SOS social center and got tutoring in English. Together with eight-year-old Vera, they plan to enroll in the creative workshops and take more tutoring. In the psychological sessions, the Skotarenkos were encouraged to do more things together as a family. They took the advice and have set regular family game nights. Sunday lunches have become important family gatherings.